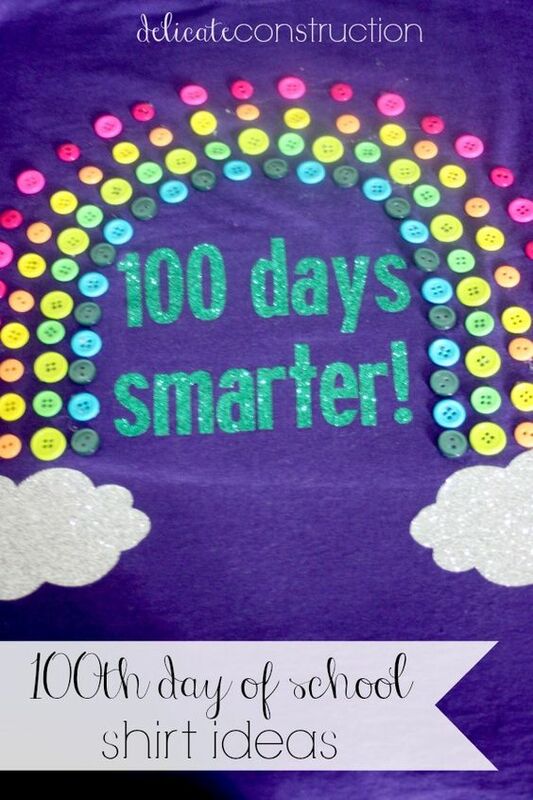 Have your kids reached the milestone of 100 days of school? Our school is celebrating this week with spirit week, each day of the week the kids get to do something special. One day they will all wear a shirt they have created and designed with 100 different “things” to celebrate the 100th day of school. I remember that some of the kids get very extravagant with their designs from my days of teaching. Now that I am the mom helping to create I feel both excited and daunted. I love the idea and the creativity it nurtures, but we have a busy schedule during the week and we aren’t always able to be so extra. That is why I did a little research to find some ideas that will help us look extra, without being overly extra. Rainbow Shirt: This adorable idea from Delicate Construction is very fancy and colorful. It is great if you can sew, or if you have fabric glue. All you need is some colorful buttons. While the design from Delicate Construction features fancy lettering you can always go simple with fabric paint or paint pens. Bugged Out: This fun idea is very simple. You can use a little fabric glue and glue all of your plastic bugs right on the shirt. Or you can purchase bug stickers and stick them all over the shirt. Once again you can use simple fabric paint or paint pens to do the writing. 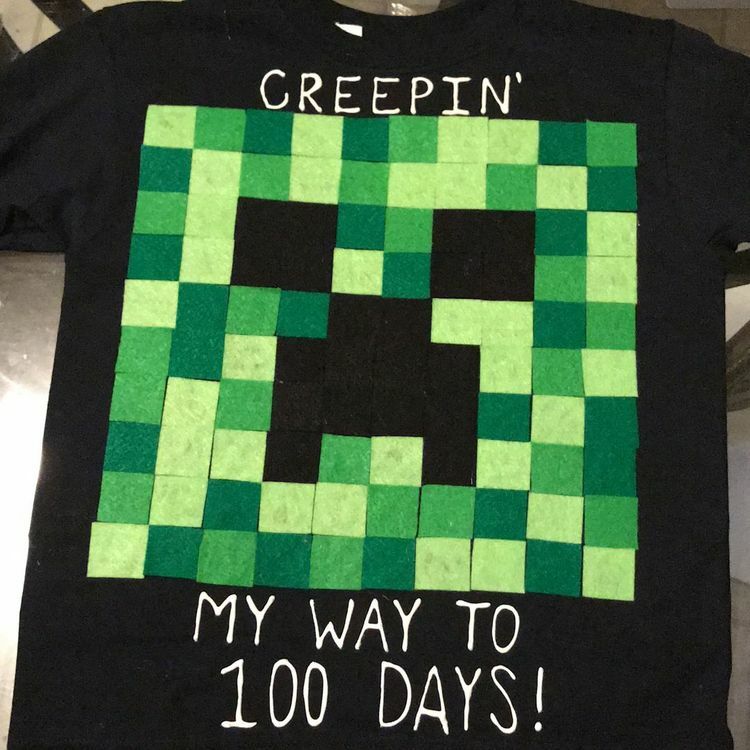 Minecraft: This fun Minecraft themed shirt is simple building blocks, much like the game it is inspired by. Simply cut small squares of felt fabric and use fabric glue to secure them. Creep level: Expert. 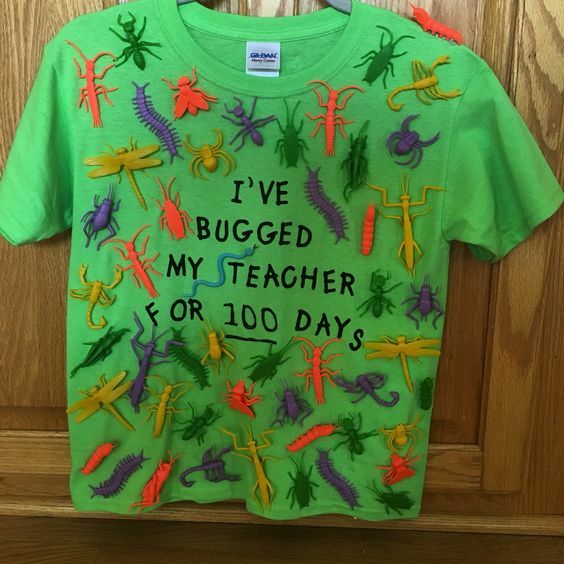 This entry was posted in Activities, boys clothing and tagged 100 days activity, 100 days of school, 100 days shirt, boys clothing, boys shirts, bugs, Delicate Construction, rainbow, School, the boys store on January 22, 2019 by Lacy.